ICI Homes is an award-winning sought-after custom home builder in Jacksonville, FL. Our philosophy is to never compromise integrity and always deliver exceptional quality. We are consistently ranked among the top 100 home builders in the United States. ICI Homes has been at the forefront of the Jacksonville custom home building industry as a standard bearer of excellence. 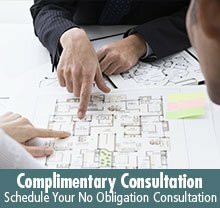 We take pride in spending one-on-one time with you to learn about your specific needs in order to build your uniquely customized new dream home. Together, ICI Homes and Don Wilford have built custom luxury homes on some of the most prestigious lots in Jacksonville. These lots are in highly-desirable areas including Pablo Creek Reserve, Glen Kernan, Queens Harbor, Riverfront, Waterfront, and Ponte Vedra, among others. What Kind of Custom Home Do You Want to Build? We offer single-family or estate sized homes to meet your needs and custom home desires. Choose an open floor plan such as our Brooke, or the Augusta (one of our largest floorplans at 4,136 ft²), or anything in between. You can customize any of our available plans in the Jacksonville area to create your dream home! As long as your home meets our minimum square footage for the area and fits on your lot, we can make it happen. “After searching for a custom home solution for a long time and being disappointed by another builder, we were about to give up when Yohan called me. I was quite surprised about how simple and efficient the design/build process was from our first consultation to receiving a plan design and cost to build it from Don and Yohan. In about three weeks, we had arrived at a point where we were comfortable signing a construction agreement with them. We would do it again without hesitation.